Apple announced the new version of OS platform for Mac & iPhone in his keynote presentation yesterday. WWDC 2014 highlights many new improvement in OS design and functionality. Although many of us eagerly waiting to see new gadgets like iWatch, iPhone etc. but sadly there only software announcement to enhance more iOS devices. OS X Yosemite interface is similar like the interface of iOS, which powers iPhone and iPad. Spotlight feature also introduces and with the new aero effect (translucent layer) makes it great to services like iMessages & more. ICloud service now enable mac user to store files on cloud servers similar like Dropbox and it’s compatible with Windows platform too. Now this awesome. OS Yosemite now uses AirDrop feature to attach larger files in your emails. It’s same as we do with Google Drive to send large files. Safari browser now more powerful than before. with new flatter looks and apple said it is the most fastest web browser till now. Handoff feature enable your devices to connect seamlessly with other iOS devices (iPad or iPhone). while working on Mac you can answer/receive calls from your iPhone and if you doing work on your mac but need to go out you can work that on with your iPad. This Handoff integration is great. Os Yosemite is available as Public Beta but the final version of Yosemite will be available in fall. Notification centre now updated in iOS 8. Enable user to reply directly from notification. As we see on android. Gesture in mail app quick access to people you contact most. QuickType features let user to use iOS keyboard much like SwiftKey as we see in android device which suggest the word. Similar like android keyboard. Support for third-party keyboard means Swype is now available on iPhones. This should make iPhone users happy. Group Message is new feature in IMessage which allows you to share your location with a group. iMessage now allows you to also send and receive audio files. If you use WhatsApp then you know about this. HealthKit this new feature we see in iOS 8 will let user to grab some attention. It allow healthcare providers like doctors and hospitals to receive and send patient data. Third party apps and accessories will be able to use HealthKit. Family sharing features allows to use one credit card to purchase contents. You will notify when your kids want to buy something up to six members can use one single credit card. Smart editing and smart suggestions in the Photo app are two new features. Adding a number of features in the App store to make apps more visible. Features are as follows: Trending searches, new logo for Editor’s Choice, App Bundles, App Previews through video, and TestFlight. TestFlight feature will allow developers to beta test their apps. 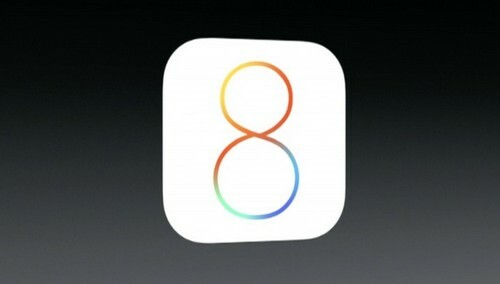 iOS 8 features a new API called Metal allow developers to create better looking games by utilizing graphics chip fully. iOS 8 beta is available to registered developers. You can also watch yesterday live streaming video from this special event and learn more about our exciting announcements.